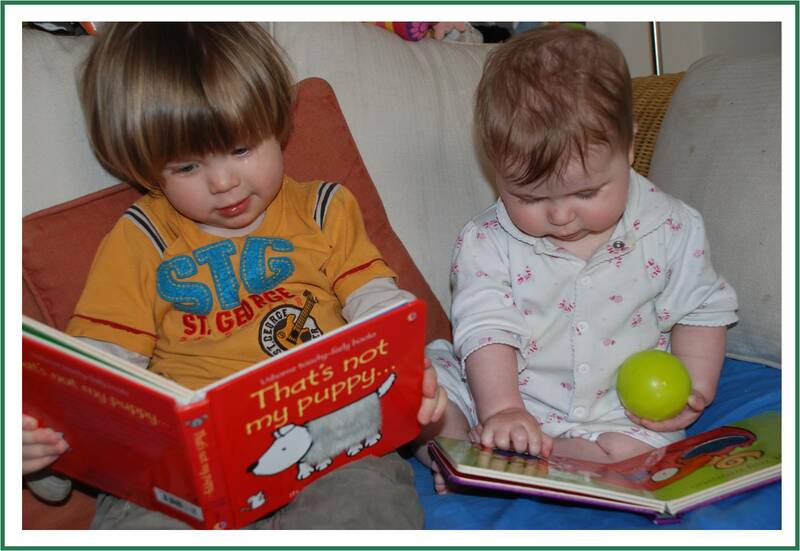 I love touchy feel books, they really do grab (sometimes literally) the attention of the smallest readers amongst us. Having said that, Red Ted (now 2.5yrs) still likes to look at all our touchy feely books, especially now that Pip Squeak (7 months) has taken an interest. That is not my Puppy, Fiona Watts and That is not my Monster. We LOVE all the Fiona Watts “That is not my..” range. 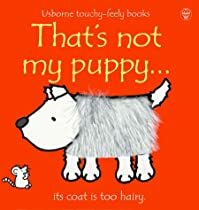 They are simple, lovely books – nice to hold with nice textures – some better than others though… our two favourite ones are “That is not my Puppy” and “That is ot my Monster”. Red Ted LOVED the monster one when he was small (6mths onwards) and I THINK Pip Squeak really likes the Puppy one – but that is maybe because Red Ted always runs off with the monster book! I have been wanting to make a touchy feely book with Red Ted for ages. And have silently been collecting bits and bobs whilst figuring our what we will be doing. Also, I want to make a “special one” as a keep sake for Pip Squeak, so didnt want to let loose to early. I decided the best course of action, was to let Red Ted have a go and to do mine separately. Red Ted’s actually turned out very well, is mine needed?! I did all the cutting and Red Ted did all the sticking. 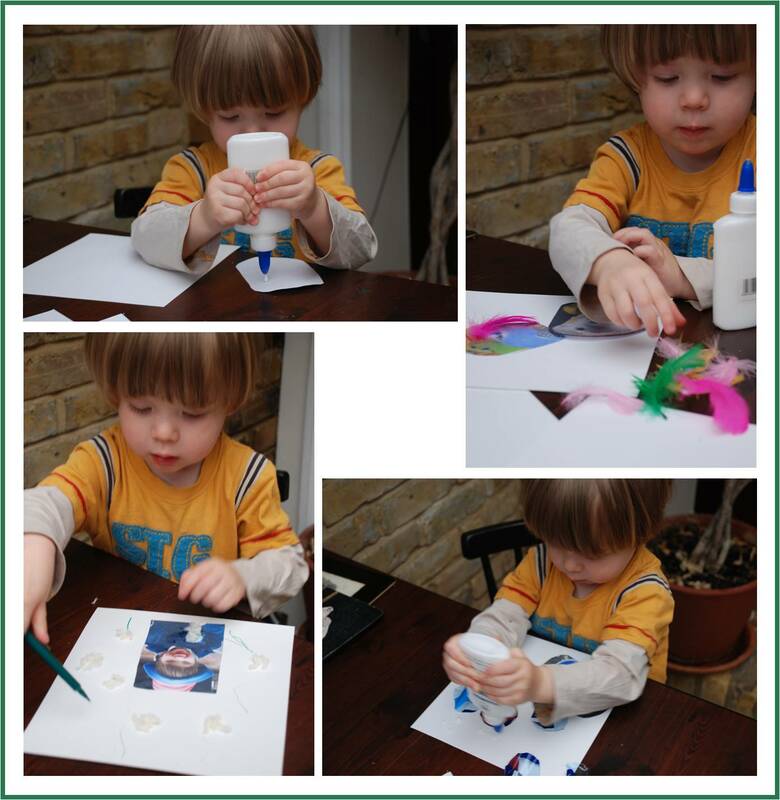 He was surprisingly good at it and only had to show him once to put the glue on the pack of a photo. I did have to stop him once from sticking EVERYTHING on the photo, and I had to help with the wool as he didn’t like it sticking to his fingers, but otherwise he did it himself. I “bound” Red Ted’s book by cutting a normal folder down. And now to the “naughty” part. I love Red Ted’s book and I think it came out brilliantly. And I was very much in two minds about to makeing “mine” too. I didn’t want to “devalue” Red Ted’s book. I did go ahead. The main reason being, that I still have many touchy feely bits that I have saved (corrugated card, rustly paper) and that Red Ted only had so much of an attention span and the second reason being, that I wanted to make a little keep sake. I don’t know if either of these excuses are enough, but I guess you could also say, that by “doing your own”, I am giving craft ideas to mums with wee babies as well as uncles/ aunties etc that would like to make something. I made my book out of an old presentation – used the front and back as front and back and the presentation deviders (a little thicker paper) for my pages. This however would look FABULOUS if you bought a simple card photo album. Thrifty me decided to recycle. So here is my attempt. I have only made the 1st 5 pages, as like Red Ted, my concentration span is limited + I haven’t decided on the final pages. I am using bull dog clips to hold it all together for now (so I can add pages), but will “bind it more permanently (staples? )” once it is done (I have 12 pages!). I hope you like! stART: Busy Airport – Cotton Wool Clouds and, erm, PIGS! stART: Hurray for Fish – one for babies or messy toddlers! 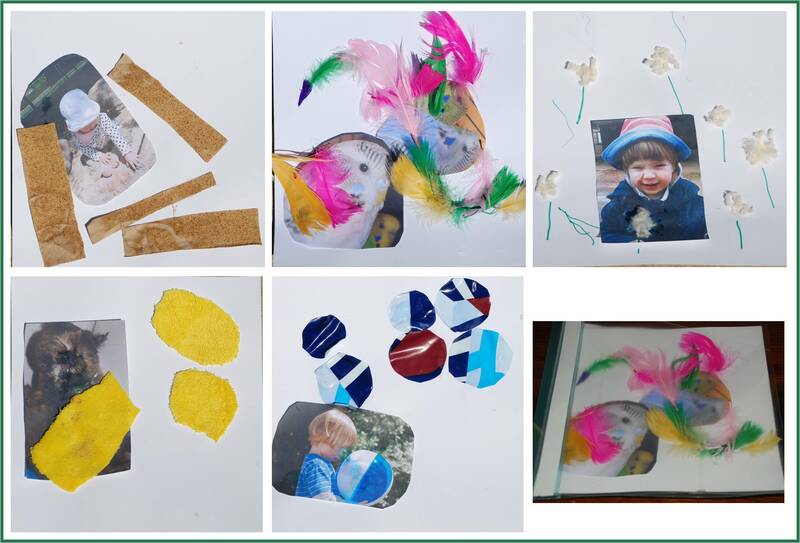 Craft: Peg animals – toddlers can help! We still have That is not my Lion and a few more of the same range on our shelves, they are great. I love the idea of making your own touchy feely book and Red Ted’s book is fantastic. Thanks for the tip, we’ll try this one. Ooh, do share your results – would love to see it – and as you are such a fab recycler, I bet you will find some great touchy feely things to add! I have a lovely bit of lace I will use for the next few pages.. can’t wait. Very tactile! What a great idea! Pat the bunny was one of my favorite books as a kid and the page with “daddy’s scratchy face” (sand paper) was worn smooth by the time me and my sister were done with the book! We absolutely loved the “That’s Not My….” books. I really got a bit misty when I was ready to pass them on to a friend. Emily and Juliette both love touchy feely books (and lift the flap books too) they definitly grab the younger ones attention and make books exciting for them. Emily would have so much fun making her own touchy feely book. 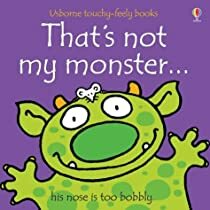 I am going to check out the “That’s Not My…” books too, they look adorable. Yes, great minds think alike! Will DEFINITELY be given your sandpaper a go! And just ordered the Nursery Dr Seuss!! Also, will be doing your Strawberry book next week! Love this sharing of ideas and books!! What a grea idea and they came out so nicely! That seems like such a fun sensory experience. Great idea! Great idea! Be interesting to see if your son likes to “read” his book or the bought ones. This book looks great. The texture book you made is wonderful. I love the way it turned out. We have the “That’s not my pirate book” and we love it too. (We actually love all of our usbourne books!) We will have to try this craft. great idea! Ooh yes! Do have a go!!! It is simple, but they love it! This is brilliant brilliant brilliant – I love it! They look like great books and such fun art projects. Learning is always so much more meaningful if it is tactile and hands on (espeically for boys I find). From Alissa@ Excuse Me Mrs.C! Your books look utterly charming! I love both versions – I think your touchy-feely books look awesome. I am a big fan of “This is not my…” series as well. I noticed we both had touchy feely books this week too. I’ve actually never tried the “That’s not my…” books. I can’t wait. I LOVE finding new books! Thanks for sharing. yes, it is touchy feely week by the looks of it! They are lovely (simple) range of books! worth getting one or two! Ohhh…what a cute idea! 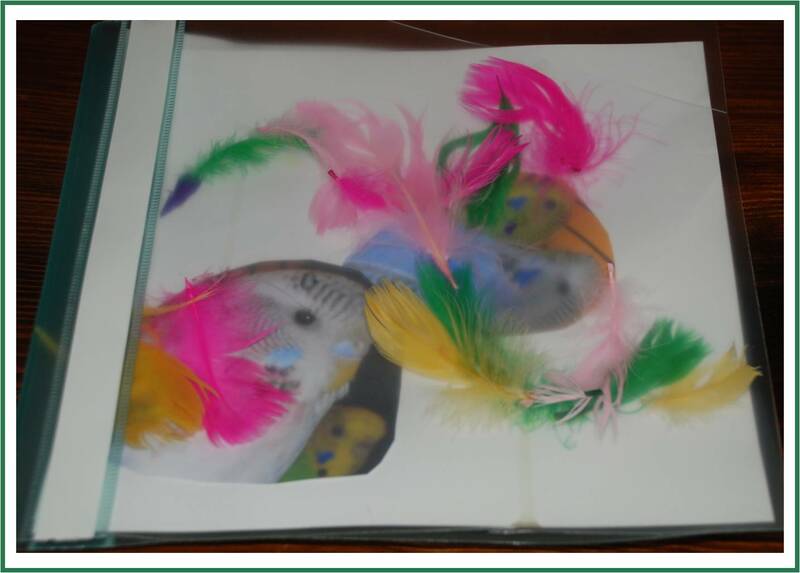 I love that your little guy made his very own “Touchy-Feely” book! What great creativity!!! Thank you so much for sharing this sweet project with us for the Sunday Favorites party! Sure enjoyed having you!!! What a fun idea! I LOVE those books, they are the only ones that my 17 month old will sit through! Thanks so much for joining us for our 13th Anything Related party!